You know you need to pick the colors of your remodeled kitchen. The cupboards can’t clash with it, and it shouldn’t be too different from the adjacent living room. Shade after shade, tone after tone, you compare and contrast your color choices. Whether you decide on the perfect color after several trial runs or land on one immediately, there’s a lot to think about. The colors of your home contribute to the overall feel and style of your living space. But what should you consider when picking the right color for the roof of your house? The exterior of your home requires just as much consideration and planning as what goes on inside your home. Here, we share six things you should know about choosing that perfect color to fit your home. According to The Roofing Company of Tampa Bay, a roofing company in Tampa, your roof can account for up to 40% of your home’s exterior that people can see. The higher the pitch of your roof, the more you’ll see of the shingles. Also, if your roof has a greater slope, your roof will also be more visible. When determining which color works well for your home, select a color that enhances the architectural style. The color should also draw your eye upward. When your eyes are drawn upward, it brings greater attention to those unique details on your home, such as gables or dormers. Have you ever walked through a neighborhood and admired the colors of the houses you pass? Your home can have that same effect on passersby. Whether you’re thinking of selling your home soon or a long time from now, noticing the curb appeal of your home is important to remember. An article by Liza Barth from GAF says that picking a neutral color for your roof will help keep it modern and in style for years to come. Or, you can consider a more striking color to draw more attention to the beauty of your home as well. If you have brick on any visible area of your home, you’ll want to take that into consideration as you pick the color of your roof. An article from Mr. Roof suggests that if your brick on your home has more red tones, you should go with a roof that’s black, brown and gray. However, if your brick is more multicolored with different shades, Mr. Roof notes to keep the color of your roof continuous. Too much variety can make the house appear more chaotic. Just like the outside walls are subject to weather, so is your roof, and even more so. 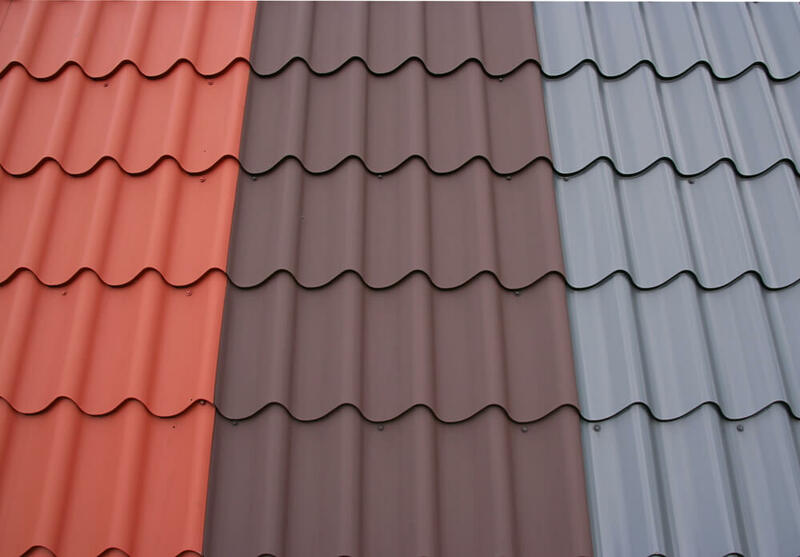 An article from IKO suggests coordinating the color of your roof with where you live. Even sunlight has a different tint depending on where you live in the world. The tone of the sun will be a factor in selecting your roof color. For example, a color blend of blues and grays that may work well in a home in the north may appear washed out in the south. Whether you designed your own home or found one you love, there are certain features of your home that you can enhance with the color of your roof. Mr. Roof notes that in order to highlight your porch, don’t choose a roof color that is very similar to the paint or wood of your porch. If you want to highlight your windows, choose a color that contrasts with the color of the trim. You’ll also want to choose a color that compliments the shutters you may have on your home. For example, if the color of the shutters contrasts with the siding of your house, choose a roof color that matches the shutters. Choosing a color this way will tie the house together well. However, if your shutters are bold in color, choose a roof color pattern that contains that same color. If you’re still having the discussion about what color to settle on for your roof, it may be helpful to get additional opinions. Ask your neighbors about how they chose or settled on the color for their roof. Another things to check is that there are not any restrictions on which roof color you can choose. Particularly if you live in a housing association, there may be limitations on what options are available to you. If you have more freedom in choosing your roof color, consider which colors may work well with your neighbors’ roofs. Choosing the color of your roof should come with thoughtful planning and consideration of all your home’s features. With these six tips, you can begin your research in selecting the color that will enhance your home’s beauty and be the talk of the neighborhood.